If you've not heard of Drop yet you may not be into cooking and if you are then it's one to try. The smart cooking guide app is the easiest way to make good recipes and now it's teamed up with Bosch. But that's just the start. Now the app offers cooking controls of a smart oven so you can follow a recipe and cook all within the app. 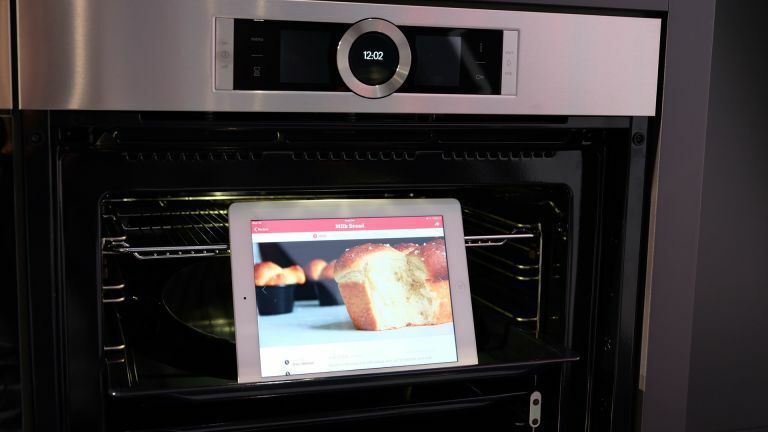 The development sees Bosch announce a new Series 8 oven that's Wi-Fi connected to the Drop app via its Home Connect platform. That means the app is able to preheat the oven, monitor time, heat and more settings before announcing food is ready. This app is smart enough to preheat the oven at the right time so when you're following the recipe the oven will be at the perfect temperature ready as you finish preparing the food. But this platform represents so much more than a smart oven. This is the first of many partnerships that moves Drop beyond the smart connected scale and app that it was made famous for. This is the start of kitchen partnerships that could see things like blenders with built-in Wi-Fi connected scales that let you follow a recipe on the app simply by adding ingredients. You pour and as the right amount is reached the app auto updates to the next ingredient to add - all without you touching the screen with grubby hands. Drop says it's got plenty more announcements to come in the near future that will see the robotic kitchen of the future finally realised in a platform that plays nice with all your kitchen appliances. Drop even teased it will offer hardware upgrades that can make you current kitchen appliances smart enough to work with the app.